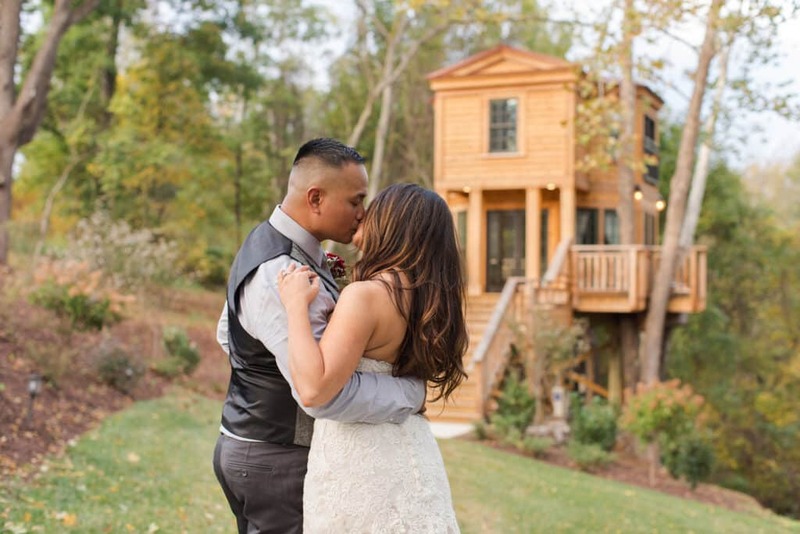 Crystal and Allen met, as if by chance, at The Neighbor’s Place in Lynchburg, Virginia. 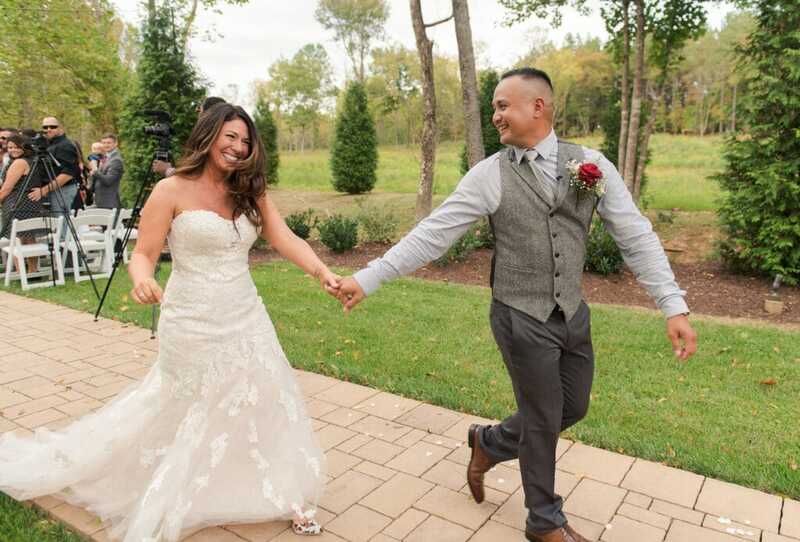 Crystal approached Allen, confident that she recognized him from another encounter, but Allen immediately knew he had never seen this stunning woman before. 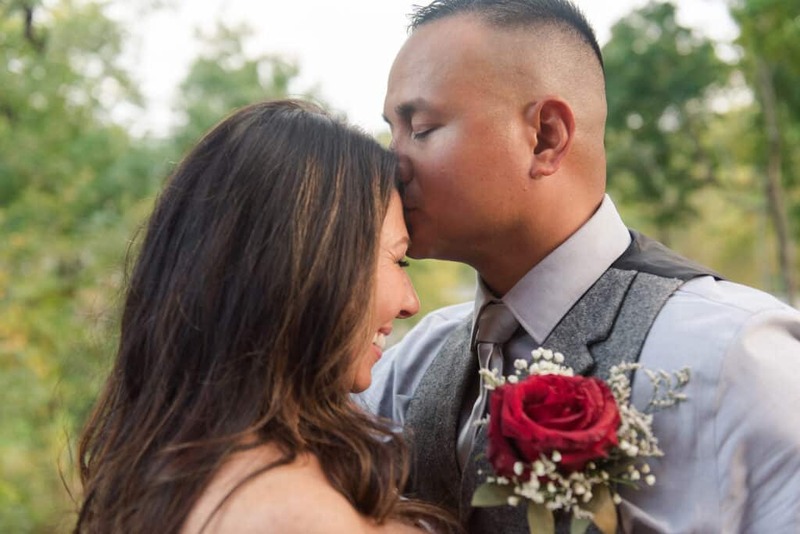 They struck up a conversation, exchanged information, and their lives were never the same. 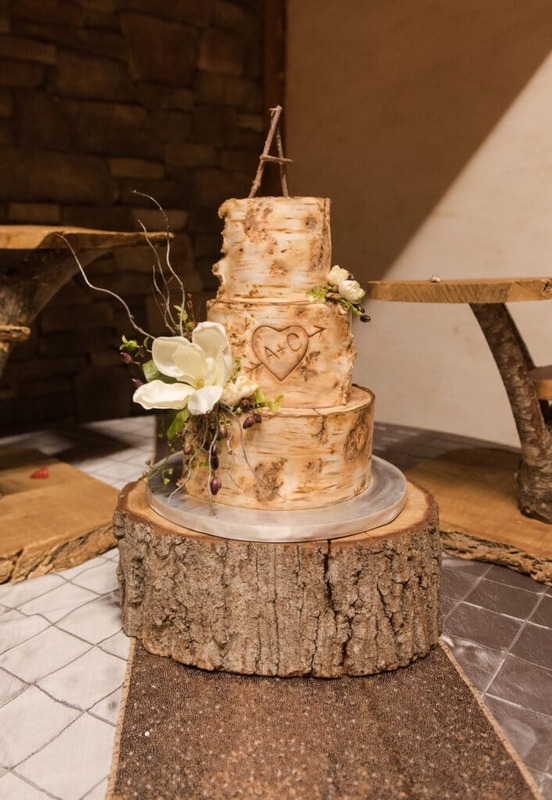 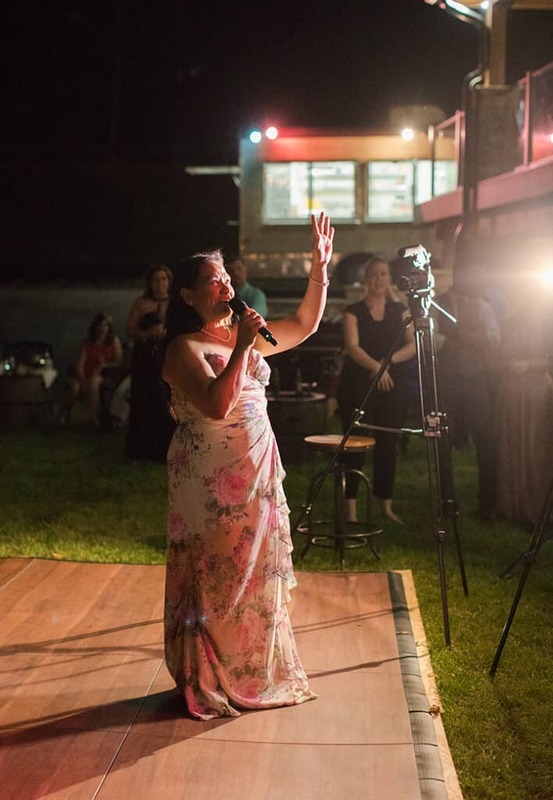 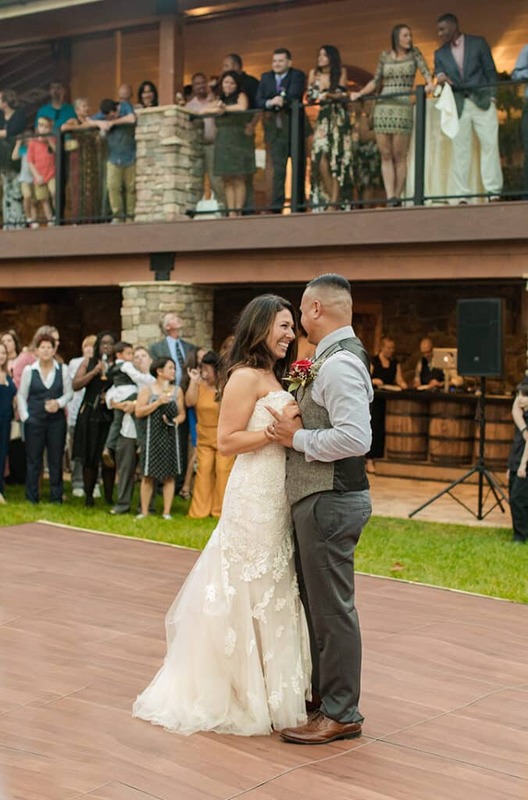 Several months later, Allen got down on one knee at the beautiful Bold Rock Cidery in Nellysford, VA, surrounded by friends and family. 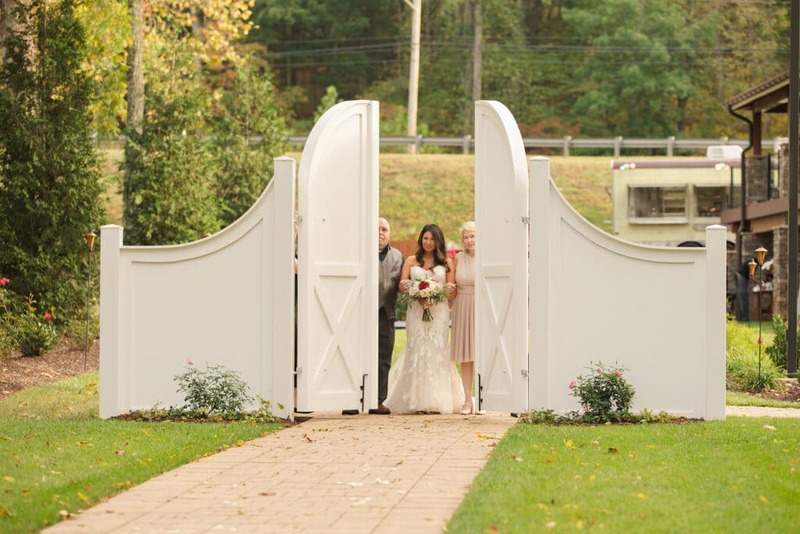 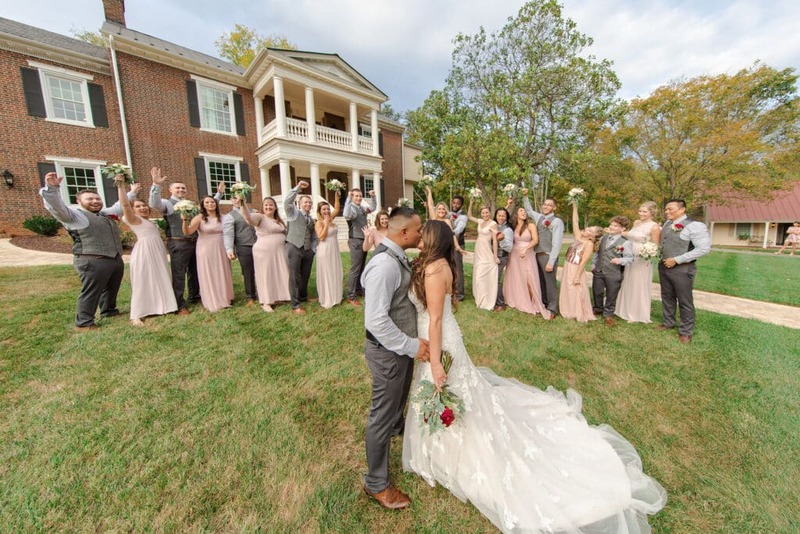 After months of planning and dreaming, their wedding day finally arrived at Bella Rose Plantation in Lynchburg, VA in early October 2017, and the day was beautifully captured by the husband-and-wife duo of Emily Hancock Photography. 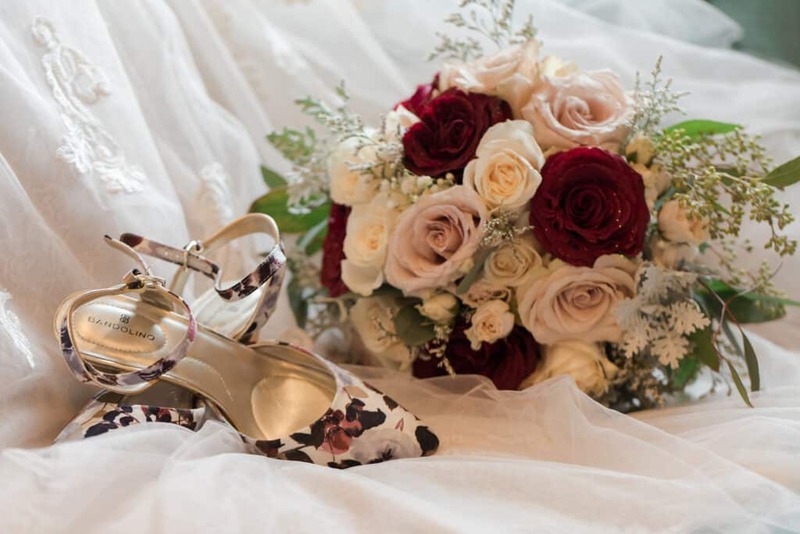 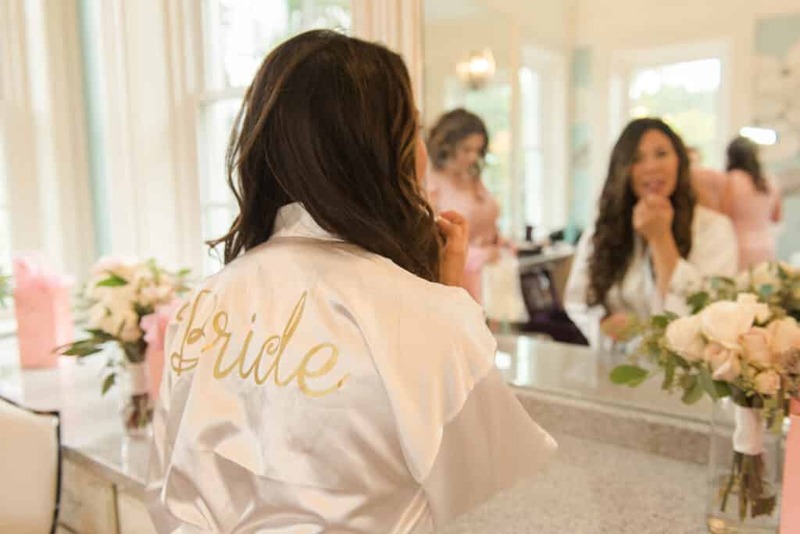 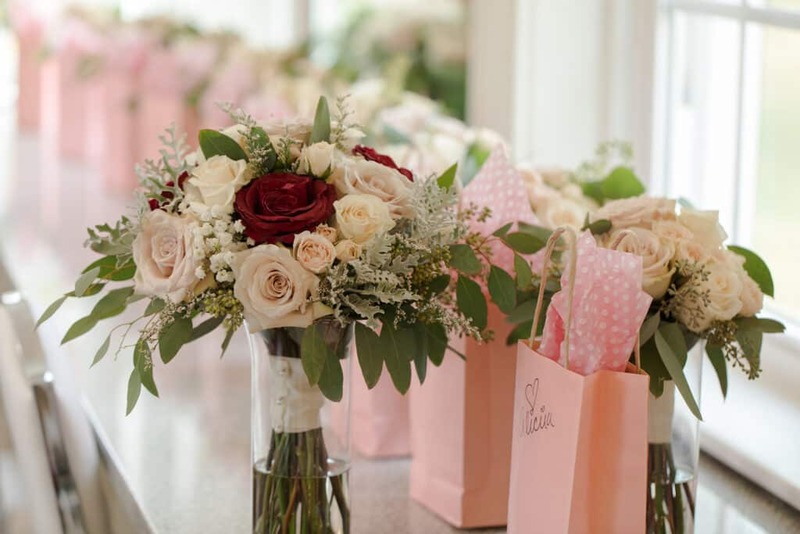 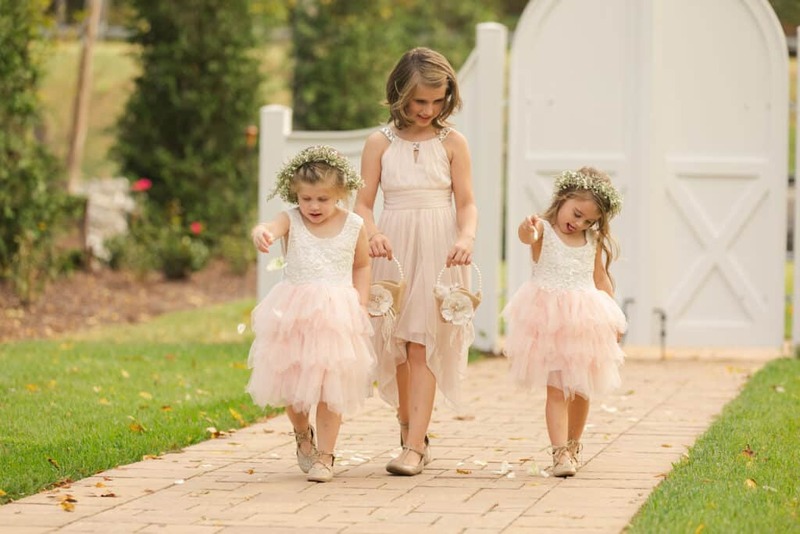 On the morning of the wedding day, Crystal showered her bridesmaids with gifts of love when they arrived! 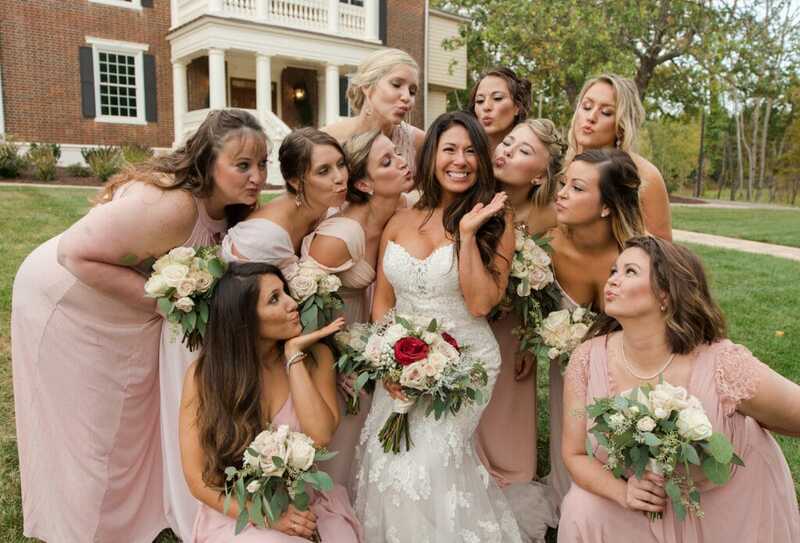 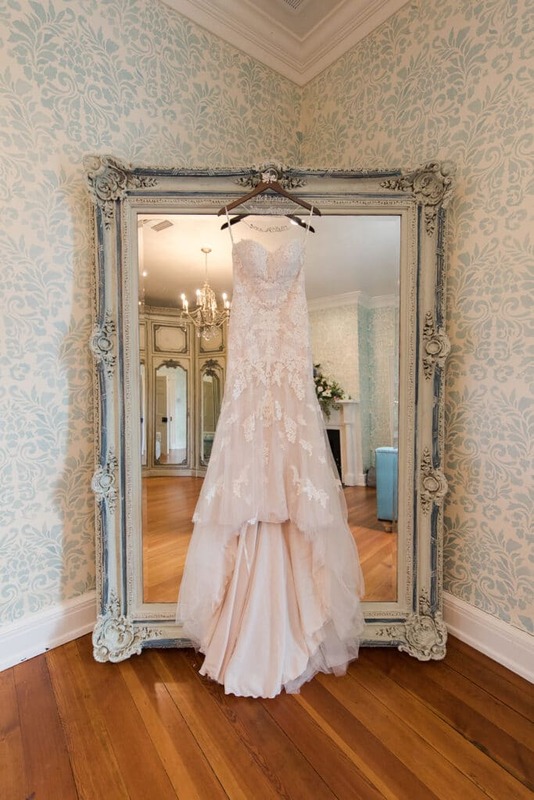 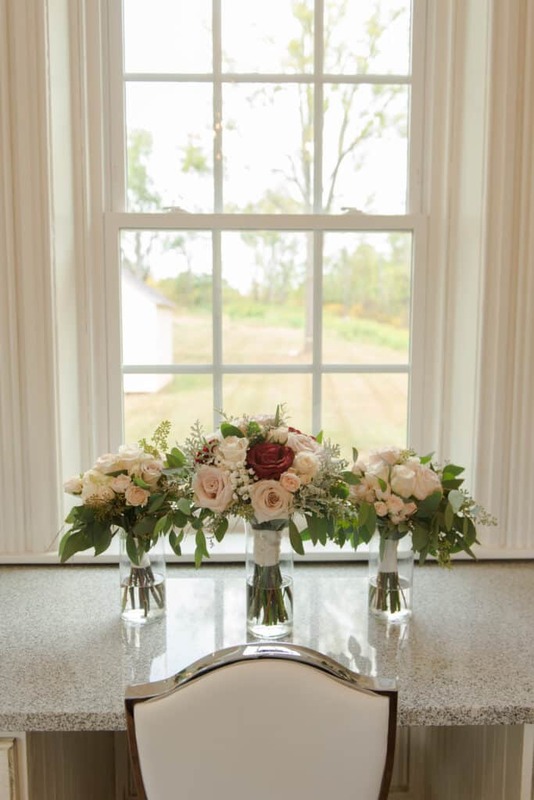 Each bridesmaid couldn’t wait to claim her spot in the gorgeous bridal suite with individual vanities for everyone. 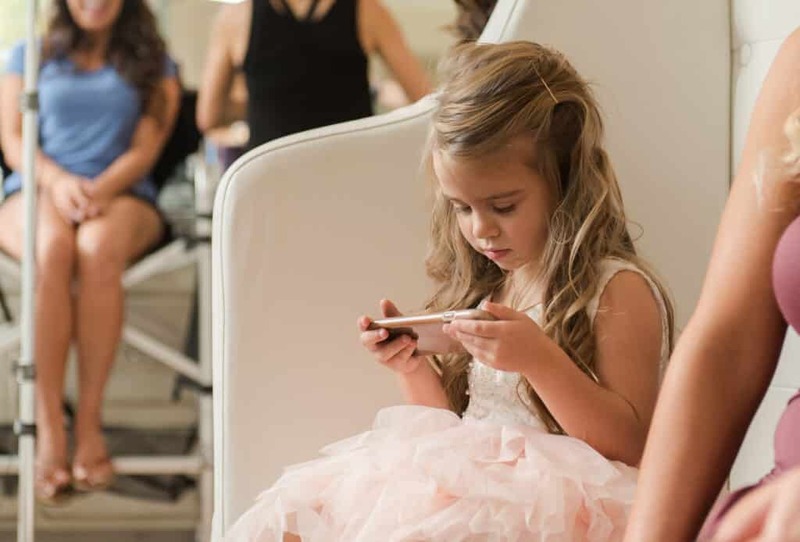 There’s no better way to keep a flower girl entertained than with an cell phone that perfectly matches her pink champagne dress! 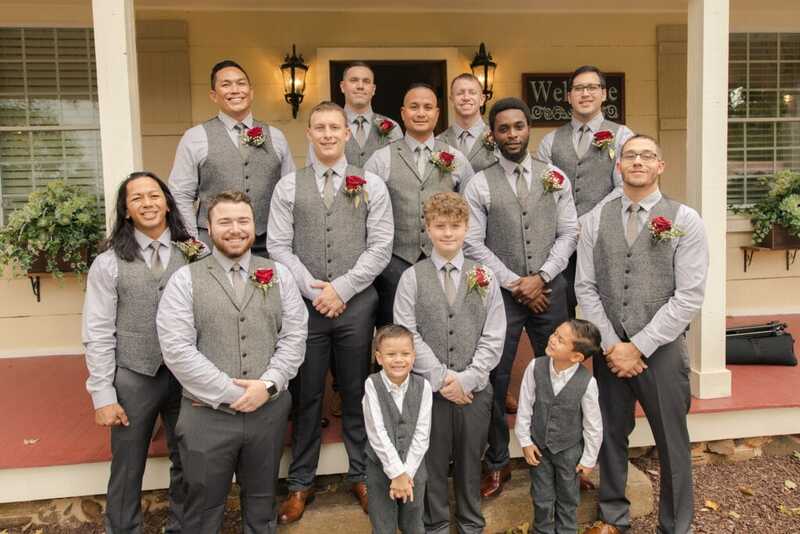 The gentlemen enjoyed their time together, getting ready in the Historic Christopher Johnson Cottage next door. 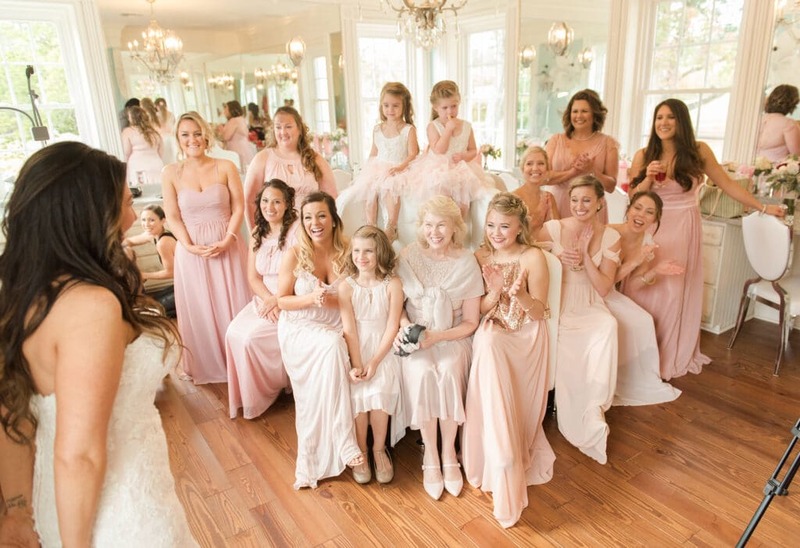 This was the moment that Crystal’s nearest and dearest ladies finally saw her in her gorgeous wedding dress; There were huge smiles and eyes filled with tears! 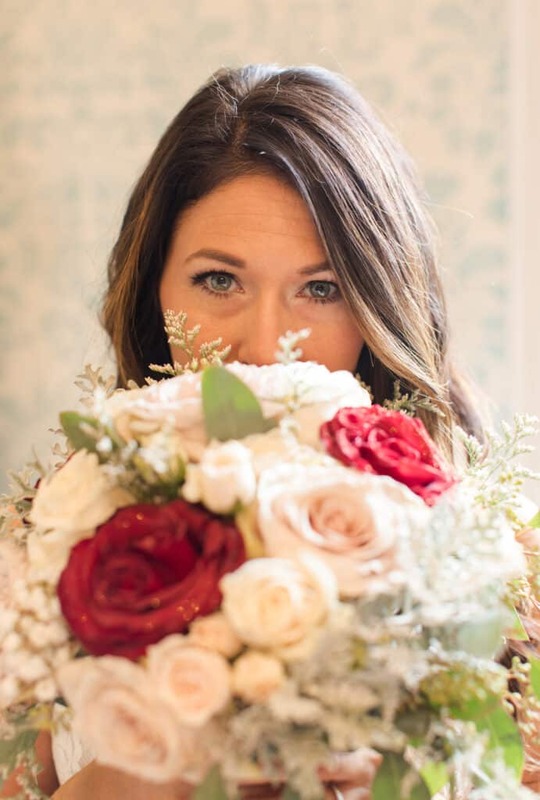 She was breathtaking! 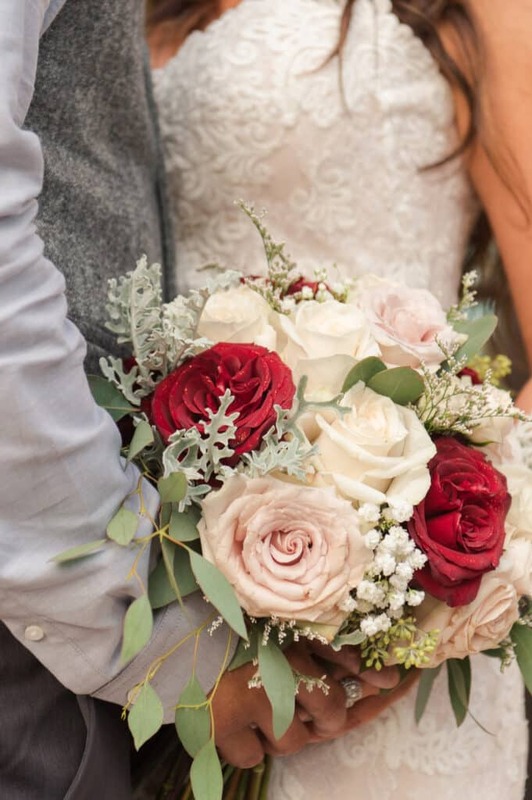 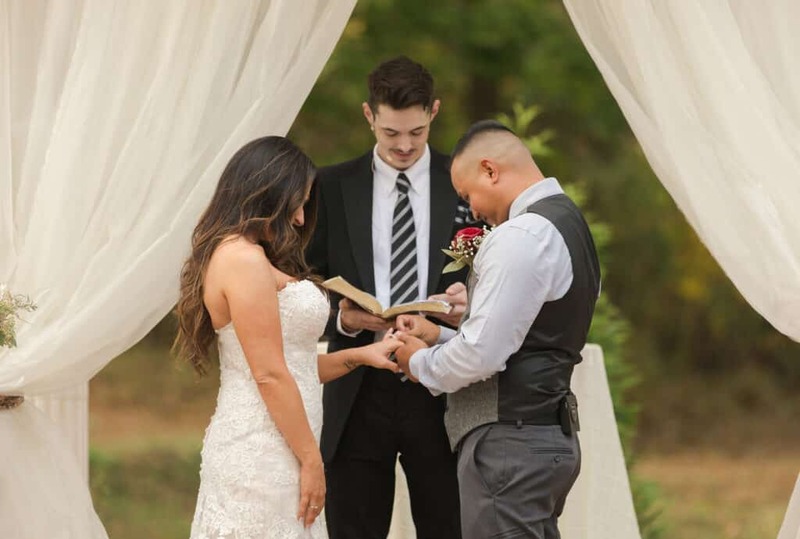 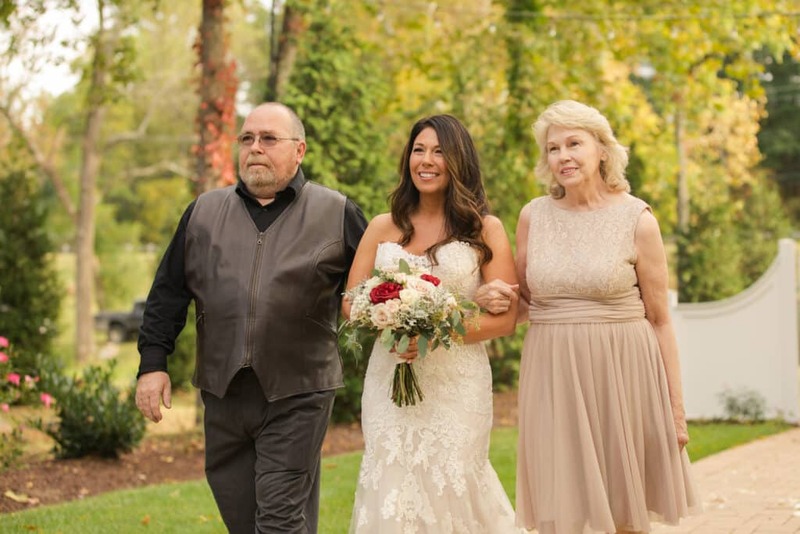 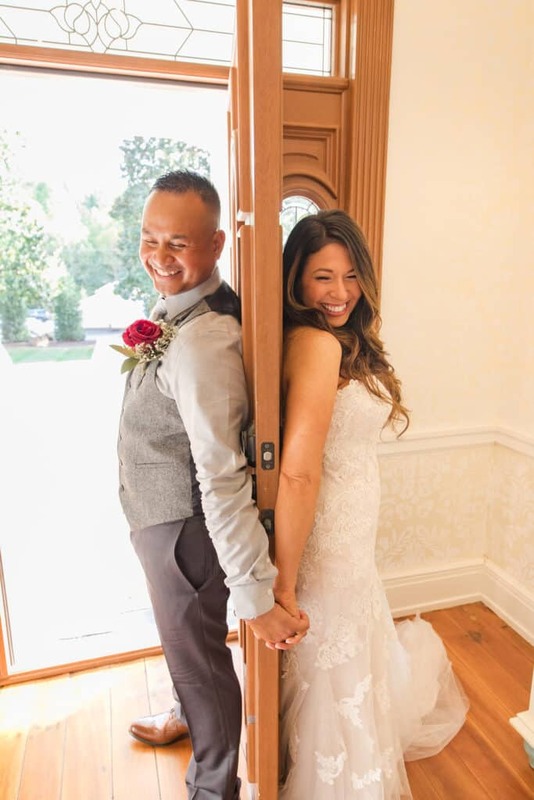 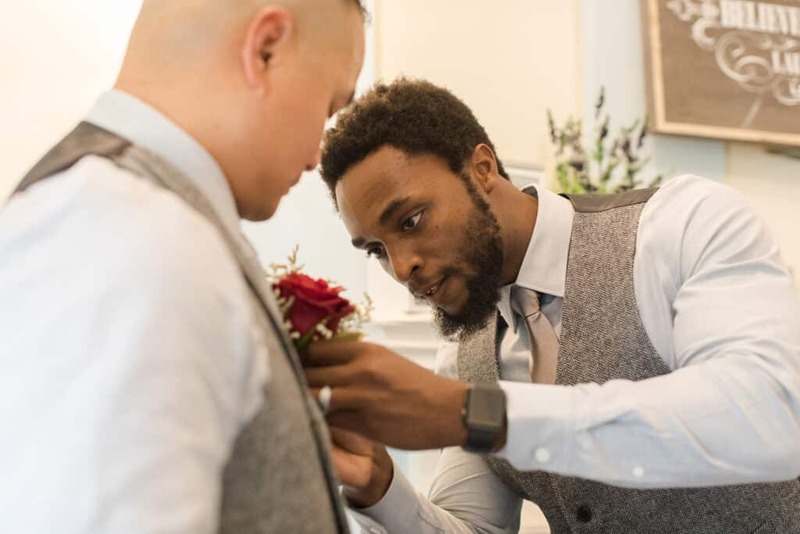 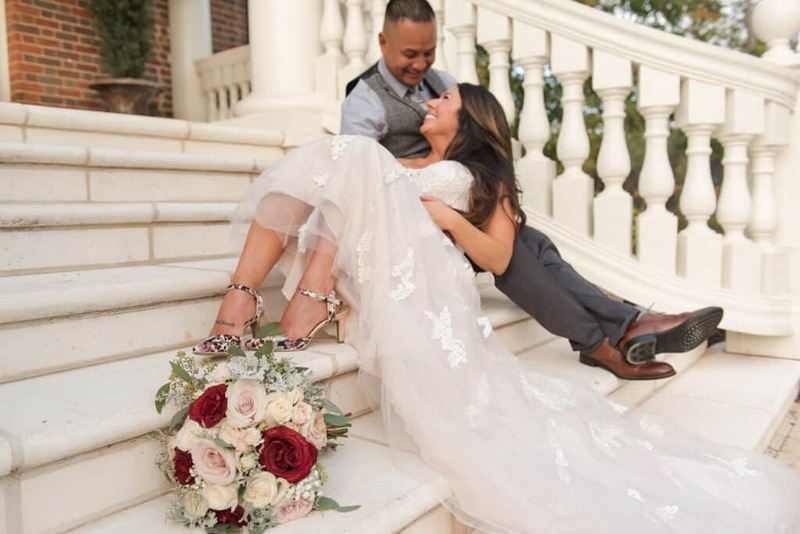 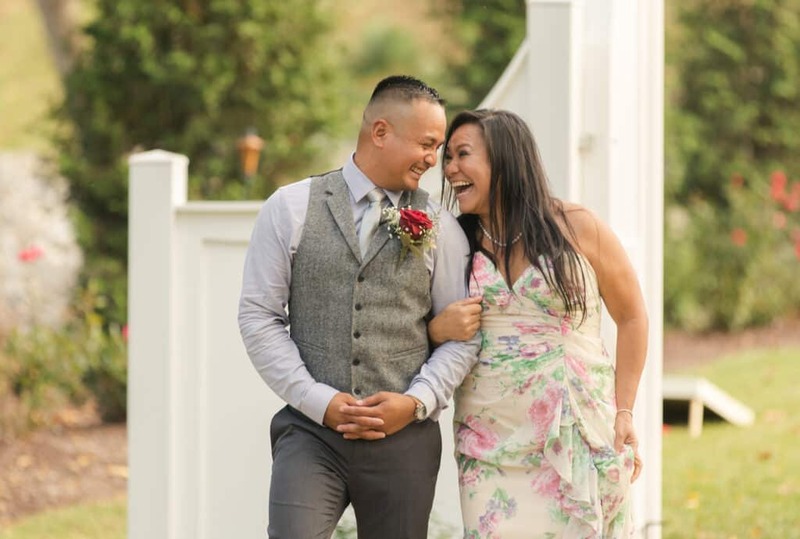 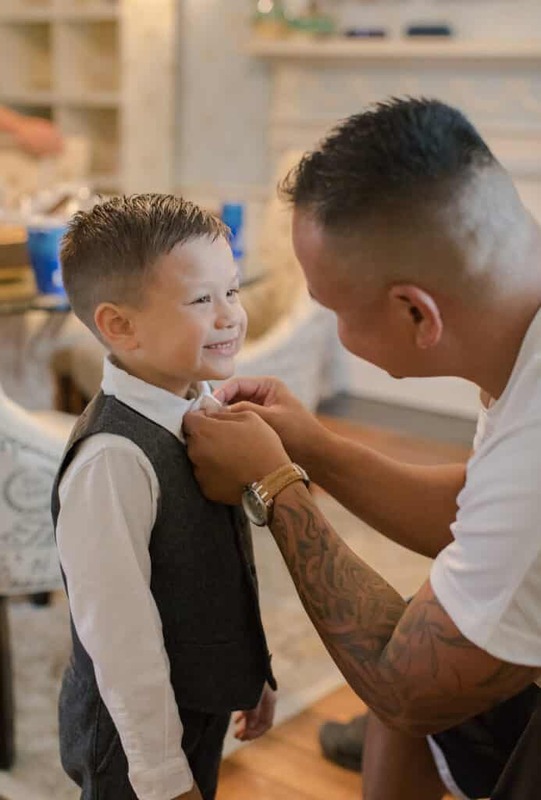 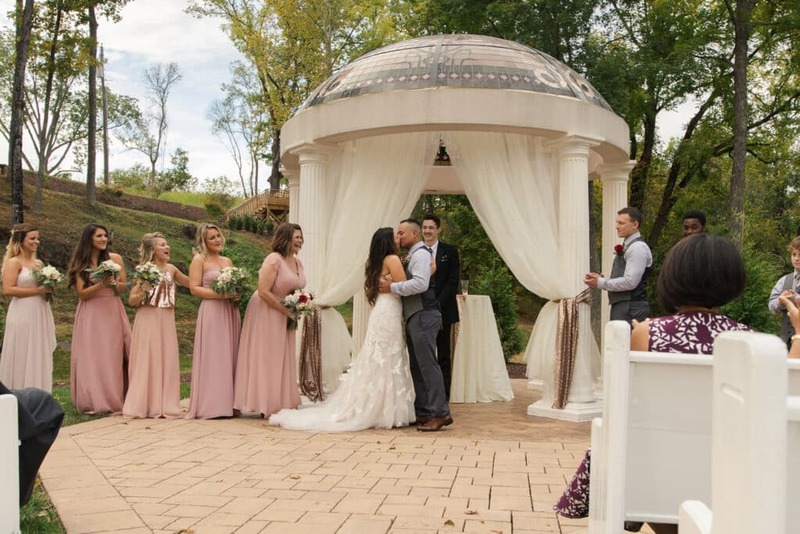 The most adorable time of their special day came right before ceremony when Crystal and Allen wanted one last chance to hold hands and hear each other’s voice before walking down the aisle to say ‘I do’! 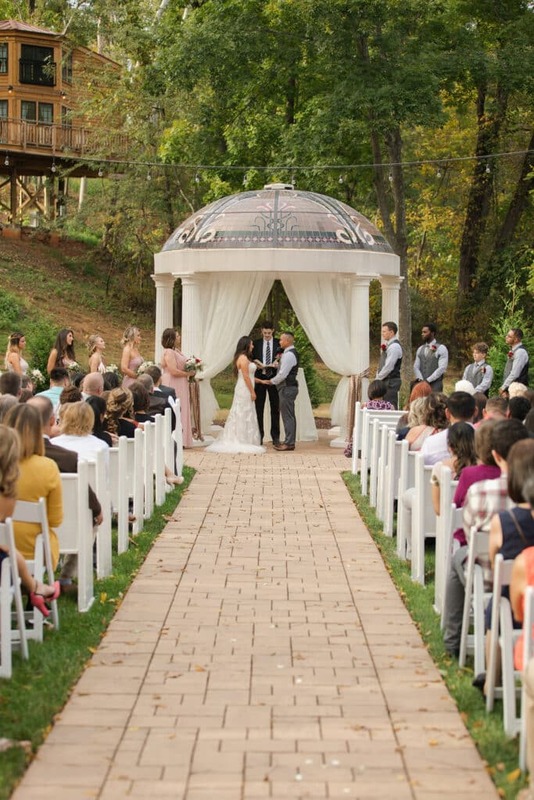 Pure joy was the overwhelming emotion as the ceremony began. 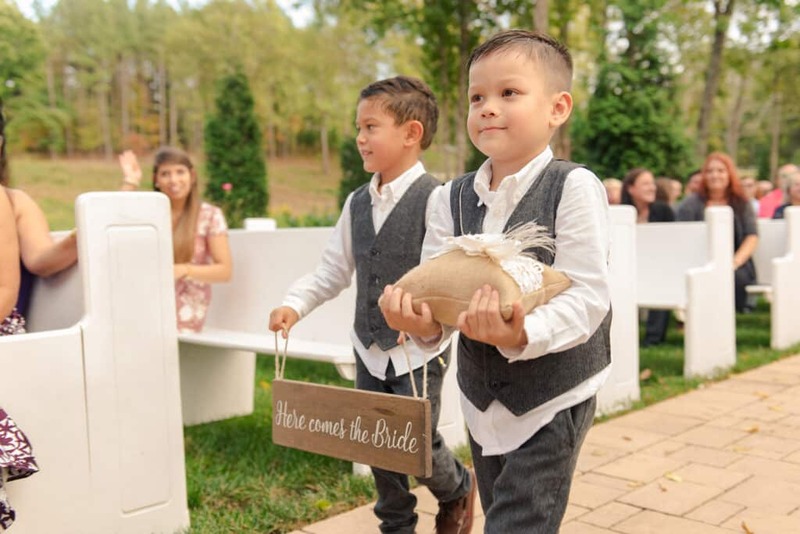 Bright smiles were on everyone’s faces as the procession began. 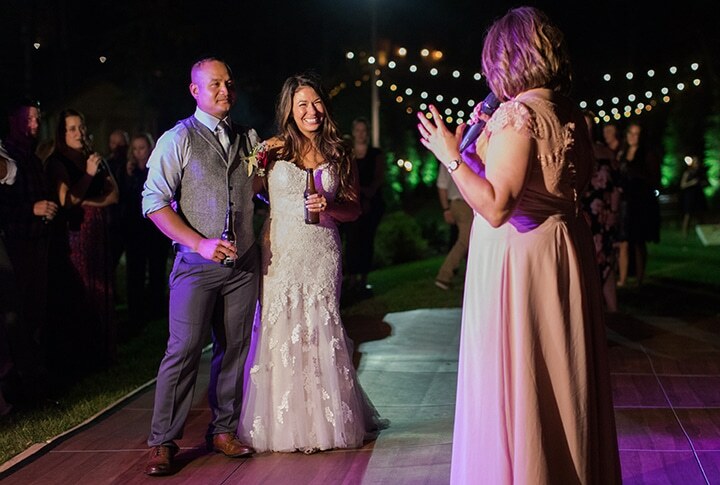 And then they saw each other for the first time as Crystal walked down the aisle. 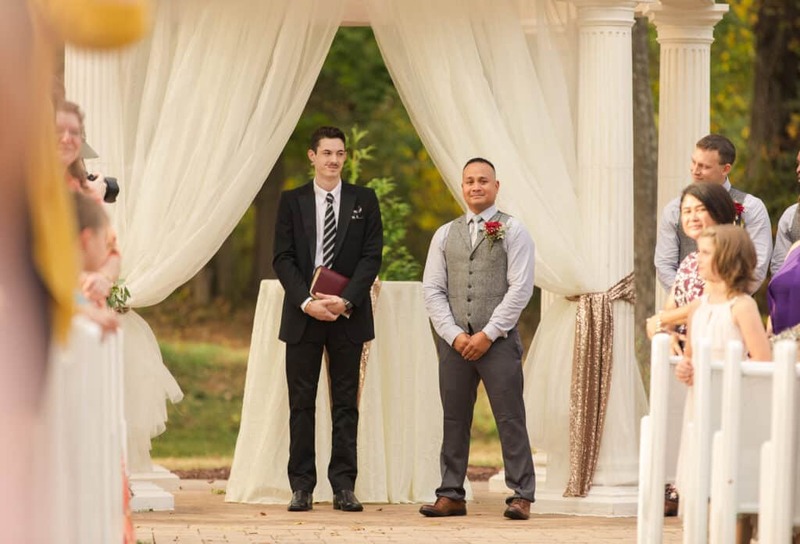 Allen’s expression was absolutely priceless as he was overcome with emotion at seeing his beautiful bride. 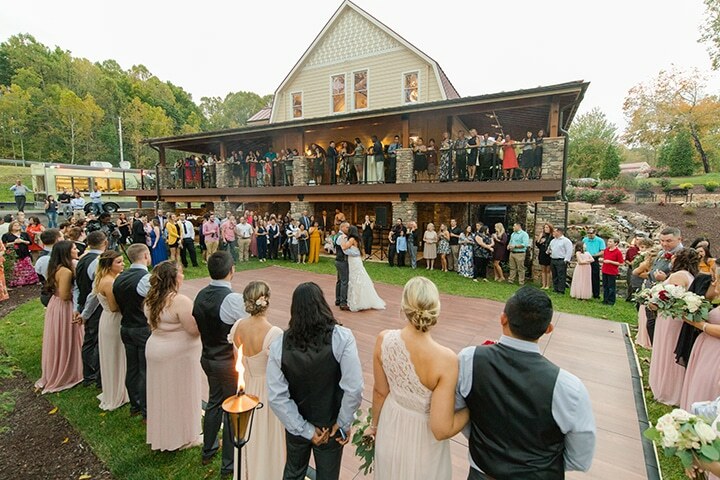 With the ceremony complete, let the celebration begin! 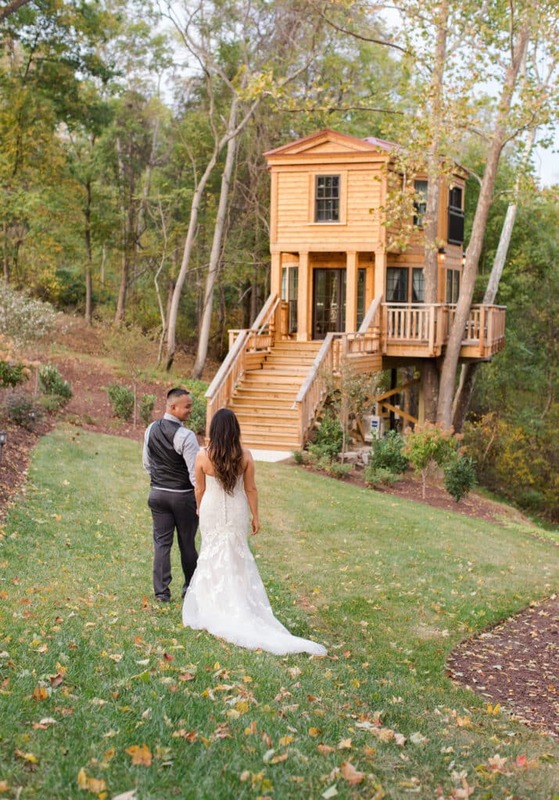 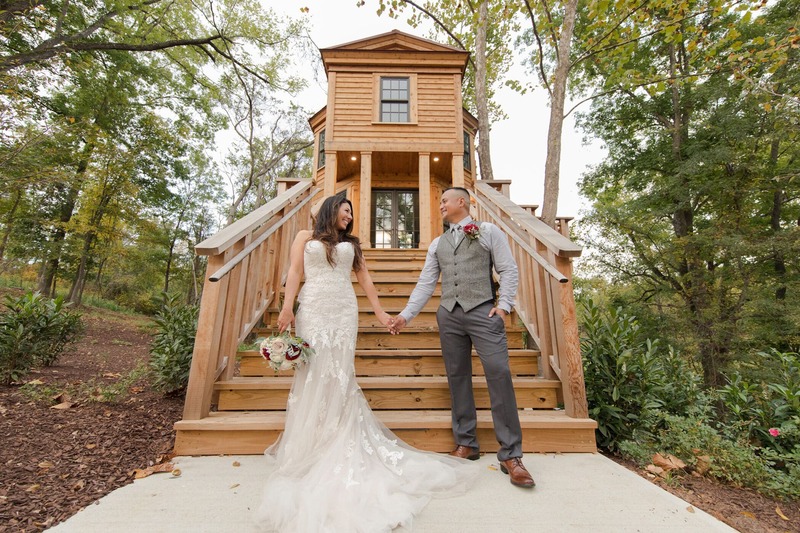 The bride and groom just had to take a sneak peak at the Treehouse where they would be staying their first night as husband and wife. 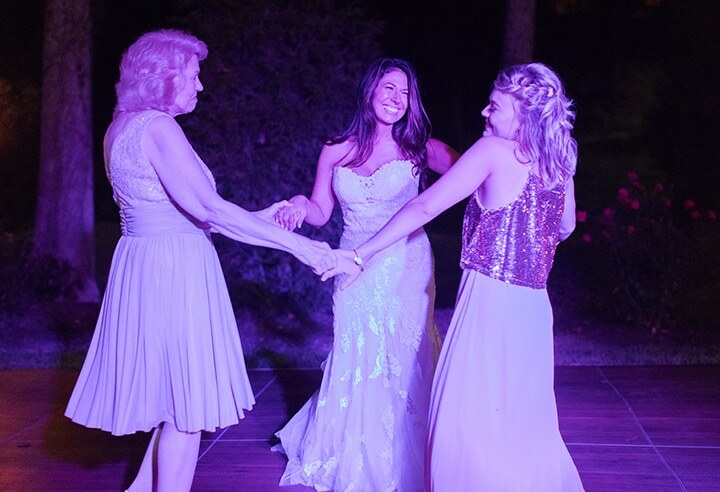 Allen & Crystal’s guests were able to enjoy our brand new Entwined Events outdoor dance floor where they could dance all night under the stars. 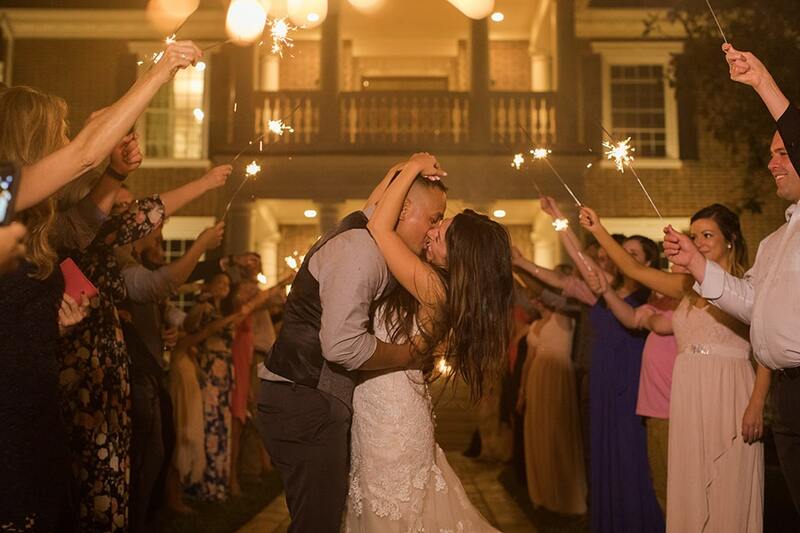 And then the happy couple was sent off with love from their friends and family and a grand sparkler exit! 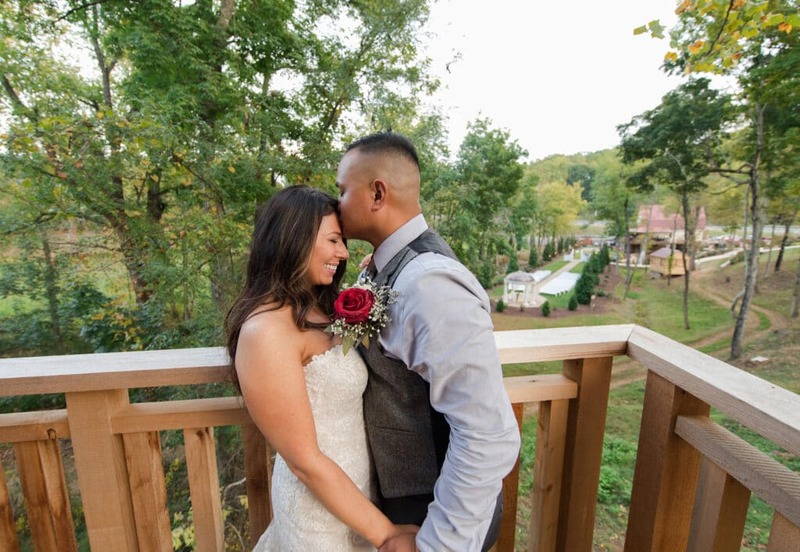 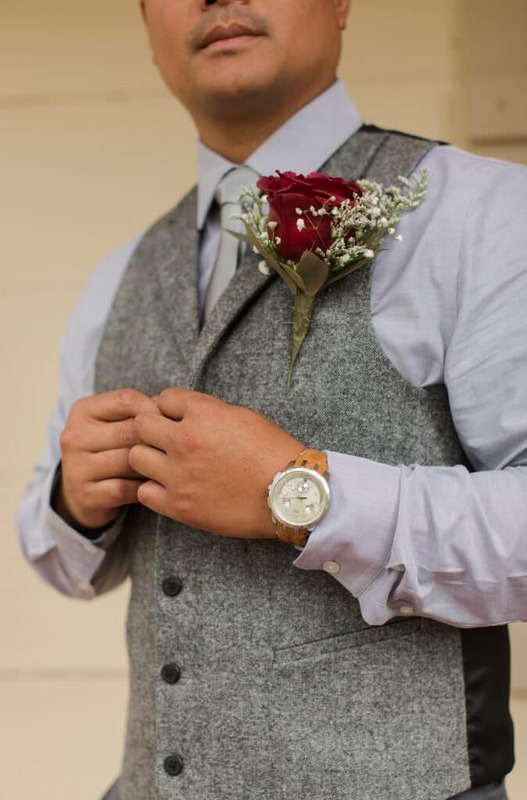 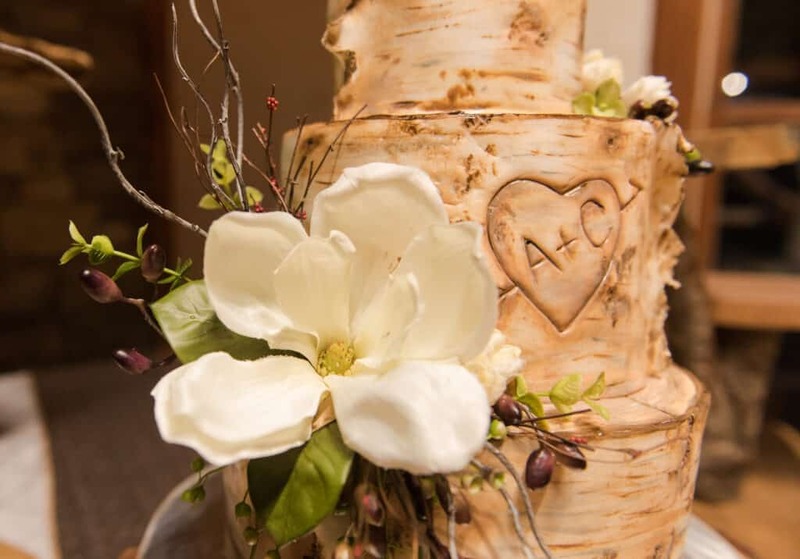 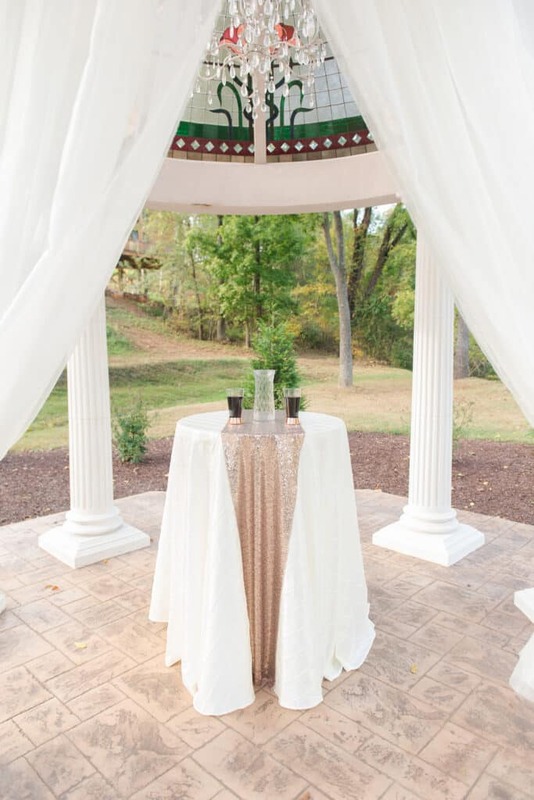 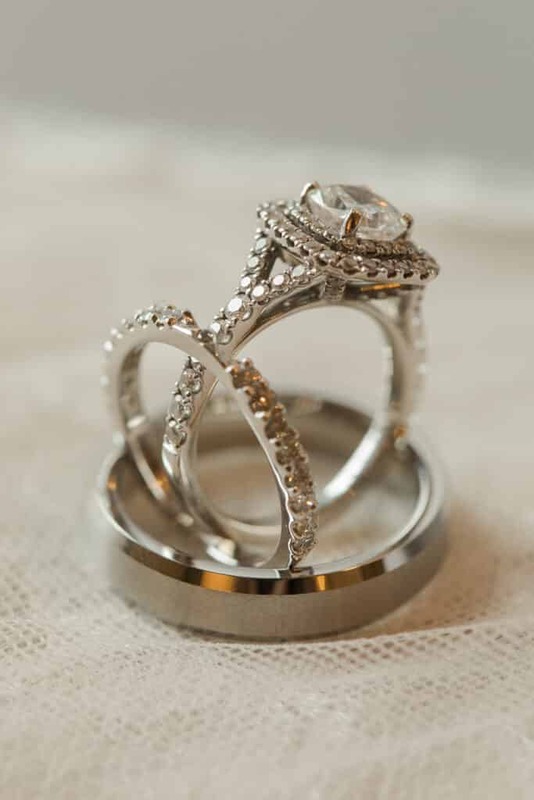 All of us at Entwined Events wish Crystal and Allen all the happiness and love as they begin their life together!